A surety bond is a contractual agreement between three parties to ensure the fulfillment of duties. The principal needs the bond, the obligee requires the bond, and the surety issues the bond. Should the principal be unable to fulfill their duties, the surety will compensate the obligee, and then require reimbursement from the principal. The obligee will inform you, the principal, if they require a bond. Surety bond requirements vary depending on your occupation, the work you will do, and your location. Are all surety bonds the same? Not exactly. All surety bonds offer protection from loss, but there are different categories of bonds for different types of work. Construction Contract Bonds — Contract bonds are required if you want to perform work on public projects (and some private ones as well) to ensure jobs will be completed properly. They can be required by the owner themselves or a general contractor that hired you as a subcontractor. Court Bonds — Court bonds are required to ensure you will fulfill your responsibilities as ordered by law or the court. 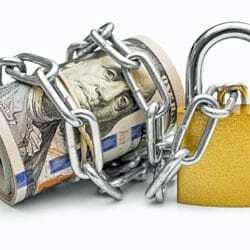 Fidelity Bonds — Fidelity bonds guarantee the employer’s money and property in the event that an employee causes damage through a negligent or a dishonest action. License & Permit Bonds — License and Permit Bonds are a type of surety bond that is required for many licensing applications. They can indemnify a governmental body for the principal’s failure to comply with an applicable law, or give a third party the right to pursue the principal for loss or damage incurred by that third party due to the default of the principal. What’s the difference between a surety bond and insurance? Insurance protects the person or company who buys it in the event of a catastrophe. Surety bonds protect the person or company requiring you to purchase the bond. They will receive compensation should you fail to fulfill your duties. Who much does a surety bond cost? Read this post about the factors that influence the cost of surety bonds. Read this post about ways to obtain a surety bond with bad credit. What do I have to do to get a surety bond? What is a surety bond indemnity agreement? The indemnity agreement you will need to sign to receive your bond is a legal document that details your obligations and gives the surety company the right to recover from you any losses paid out on your behalf. Because most personal assets are shared with your spouse, surety companies often require spouses to agree that those assets are available for underwriting to the surety company should someone make a claim on your bond. The length of time from application to issuing a bond can vary depending on the type of bond. Brunswick Companies can often issue within one or two days after we receive your payment and a signed indemnity agreement. We are able to overnight bonds as necessary too. What happens if someone makes a claim against my bond? Should someone make a claim on your bond, the surety company will investigate to determine if the claim is valid. If the claim is valid, the surety company will remind you of your obligations under the indemnity agreement and give you the opportunity to satisfy the claim. If you fail to do so, the surety company will arrange a settlement with the obligee (who required you to get the bond), and then proceed to collect the settlement from you. How can I avoid claims on my bond? Conduct your building ethically and fulfill your obligations and duties as explained in your surety bond contract. Why Do License & Permit Bonds Require Your Personal Information?